Probably the main reason we chose our house and land some three years ago was that it possessed the rare combination of enough agricultural land for our vegetable growing and animal raising aspirations, along with a plot of building land, which we wanted in order to fulfil a long-held ambition (mine rather than Gabrielle’s, it has to be said) to build an ecologically-friendly home, most likely out of straw bales. 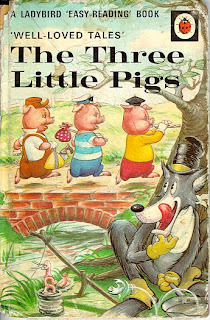 I’ll now pause while you make jokes about three little piggies, and then ask me whether it’ll be prone to burning down or being infested with rodents, which is pretty much most people’s reaction to straw bales as a building material. A paradox : we have several friends who are doing up older buildings, typically of the local vernacular of stone and cob which, they admit, places restrictions on the size and arrangement of rooms, doors, windows and the types of building materials, thermal performance, etc AND, they often have to spend time and money taking wobbly or rotten stuff down, in order to rebuild it, i.e., three steps forward accompanied by two steps backwards. How much easier life would be, they opine, if they had the carte blanche of a bare building plot. The flip side of that conundrum is that such a carte blanche leaves one with so many decisions to make, it’s paralysing: oh for some restrictions to help us. The straw bale house is nearing some sort of paper-based conceptual state, with the help of some architect friends but it’ll be a while before we put a spade in the ground. 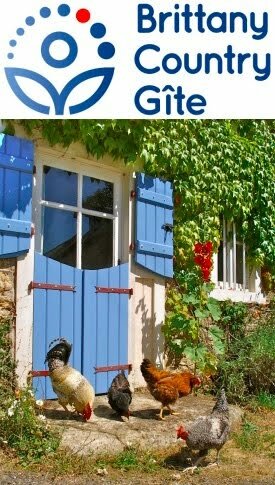 In the meantime, we are converting the upstairs of our barn into another small gite for holiday rental, as the current cottage is successful. We’re also engaged in some alterations to our current house, such as installing a VIP dry (compost-ing) toilet (one that our mothers would be happy to use) inside the house and replacing the front door and building a hemp / lime and wine bottle wall either side of it. 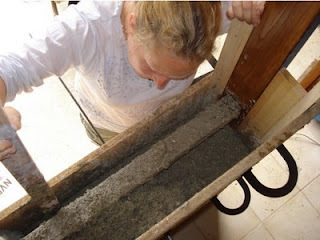 We also visit and sometimes help out at friends' houses, where, for example, we’ve had our first encounter working with cob (i.e., earth or mud). We’re gaining experience and know-how which will serve us well for the house build along with making mistakes now, leading to a calmer, hopefully fault-free-er, future project. 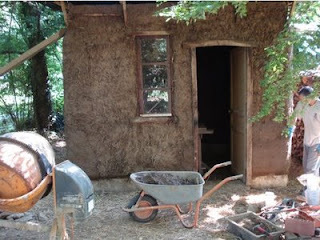 The photos show Gabrielle tamping a porridge of hemp chiv and lime between shuttering to create a wall and then a straw bale cabin in Samuel and Julie's garden, which has been coated in a mud slurry to help adhesion of the body coat of earth render, which has been partially applied. After the promised sequel, i.e., More on Broody Hen Behaviour and other Chickeny Mysteries in my next blog, I’ll tell you about the barn roof and what we believe makes building materials and techniques “green” or “eco-friendly”.